With its grit, wide wheels and high performance 250W engine, it will become your small pedal tank. Designed for the daring cyclists who like to go even further than the city, SSC Napoli Vulcano is now dressed in blue to accompany fans and fans every day. Its technical features, compact size and folding frame make it easy to transport both in the city and for your weekend getaways. The rims with 34 holes guarantee maximum comfort during pedaling even in the absence of the front suspension and also protects against unpleasant punctures. The disc brakes present, compared to traditional brakes, guarantee a stable and precise braking. The lighting system, which can be activated by the handlebars, is LED technology. The light of the LEDs is intense and low in excellent consumption in situations of poor visibility. The 7-speed SHIMANO mechanical gearbox is a great complement to the electric part of the pedal-assisted bike VULCANO. The on-board computer, through its LCD display and the multi-function buttons, manages the basic elements of the electric part of the bike, such as, for example, the assistance levels of the motor when pedaling. 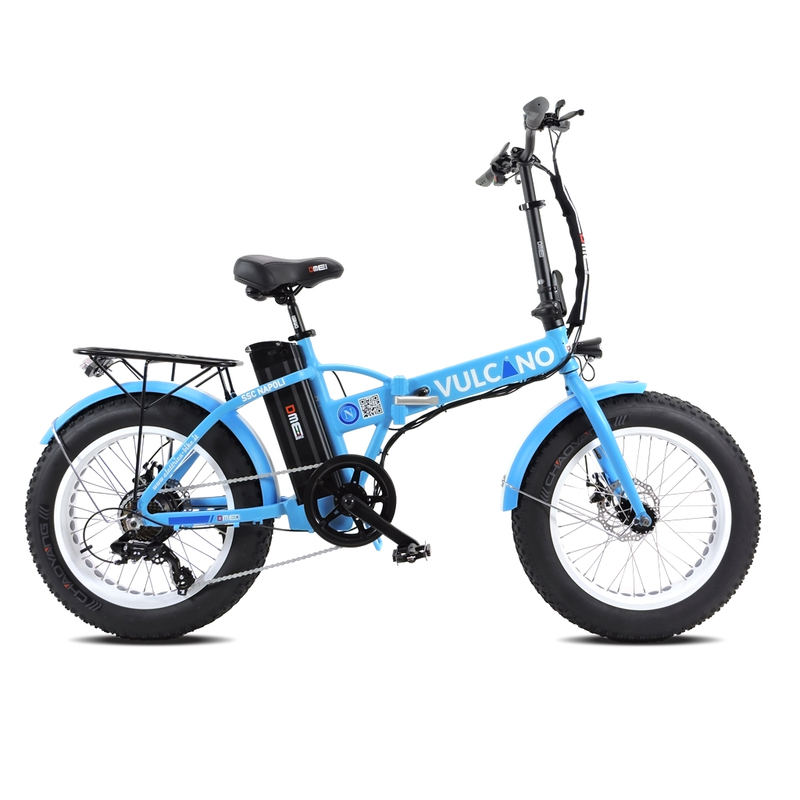 Thanks to the folding frame and 20 “wheels, SSC Napoli VULCANO is a folding-bike easy to transport or store in your home or office. The electric part of the Fat-Bike SSC Napoli Vulcano is powered by a lithium ion battery (Li-Ion) that ensures from 30Km up to 50Km with a single full charge. The integrated USB port on the battery can be used to charge the mobile phone while you are out and about other devices (max 500mA) in an emergency situation. 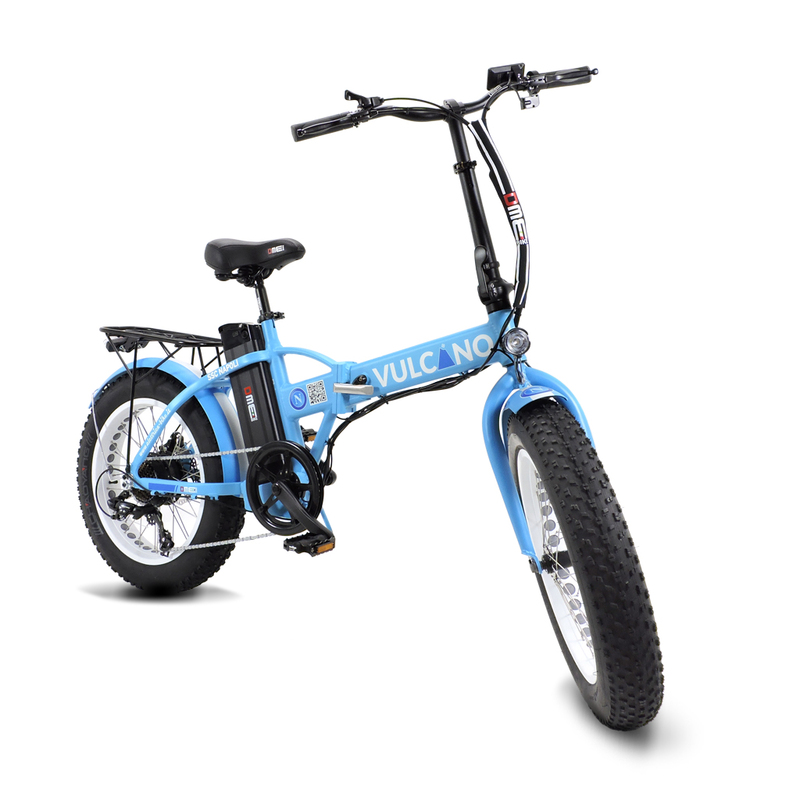 The electric bicycle SSC Napoli VULCANO is equipped with a brushless electric motor (brushless) of the latest generation, reliable and low consumption. The V2.0 version is fitted with a 250W36V motor, complying with the latest European directives. 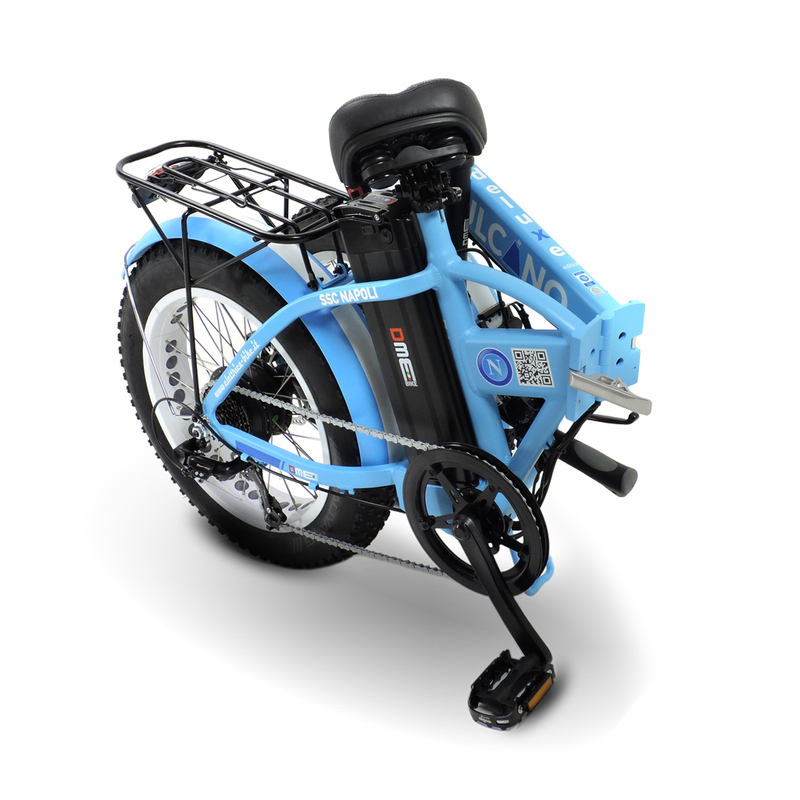 The maximum speed that can be reached with the help of the 250W36V electric motor is – as required by current European laws – of max 25 Km / h. The electric motor is mounted on the rear hub. Choice this that distinguishes a high-end electric bike. The rear hub engines represented the best choice for urban or trekking use.